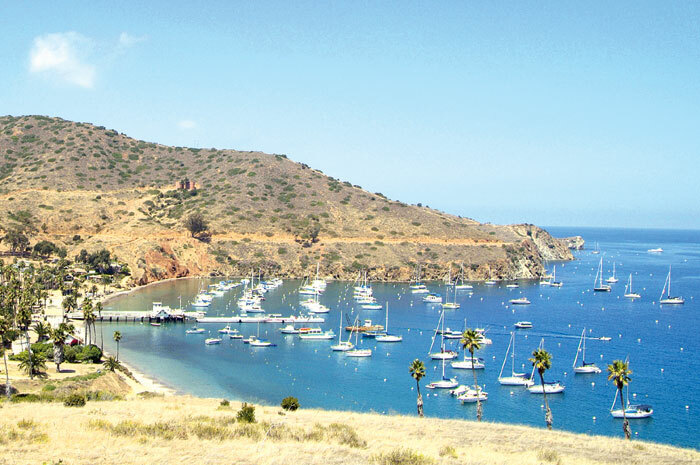 TWO HARBORS — Catalina cruisers in search of camaraderie with like-minded island boaters can find that and much more, when they take advantage of the many exclusive benefits offered to members of the West End Cruising Club. Based in Two Harbors, West End Cruising Club was re-launched in 2011 by former Two Harbors Harbormaster Phillip Winter (who has since left the post), with intent to create a sense of community for the island’s West End. Since the club’s re-introduction, membership has grown to more than 650 members, Mueller said. With membership benefits running the gamut from unlimited shoreboat rides from the Isthmus, Fourth of July Cove and Cherry Cove year-round and Catalina Harbor during the summer season to 20 percent off lodging at the Banning House Lodge from November to March, there are plenty of reasons to join. The club’s latest, just-announced discount is 50 percent off Safari Bus transportation from Two Harbors to Avalon, on regular scheduled runs. Members will pay $32 through Oct. 15. Members enjoy potlucks, cocktail hours and various get-togethers during busy boating months. Additional advantages include complementary coffee at the West End Galley, one full-day rental (midweek) of a double kayak or two single kayaks, and a bottle of wine with the purchase of a minimum of two entrees at the Harbor Reef Restaurant. Other privileges include two transferable coupons good for one mooring night, valid until May 31, 2014 (not valid on holidays or special event weekends; some restrictions may apply), 20 percent off lodging at the Banning House Lodge from November to March, and 15 percent off labor charges at Two Harbors Outboard Repair Shop. The latter offer does not include on-the-water labor. West End Cruising Club members simply show their card to activate offers that also include unlimited disc rental for the Disc Golf Course and a site fee waiver for rental of the Main Bandstand or Buffalo Park, with the purchase of a full dinner catering through the Harbor Reef Restaurant. A complimentary West End Cruising Club burgee is also presented to each member, so that they can fly it proudly. Club membership is $350 for new members, and there is a $300 annual renewal fee. The cost covers membership for a family with children under the age of 18. Annual membership runs from June 1-May 31. Current members who refer a nonmember to the club will have their names placed in a drawing for a chance to win a two-night stay at the Banning House Lodge and dinner for two at the Harbor Reef Restaurant. For more information, or to join West End Cruising Club, call (310) 510-4266 or email wecc@scico.com.